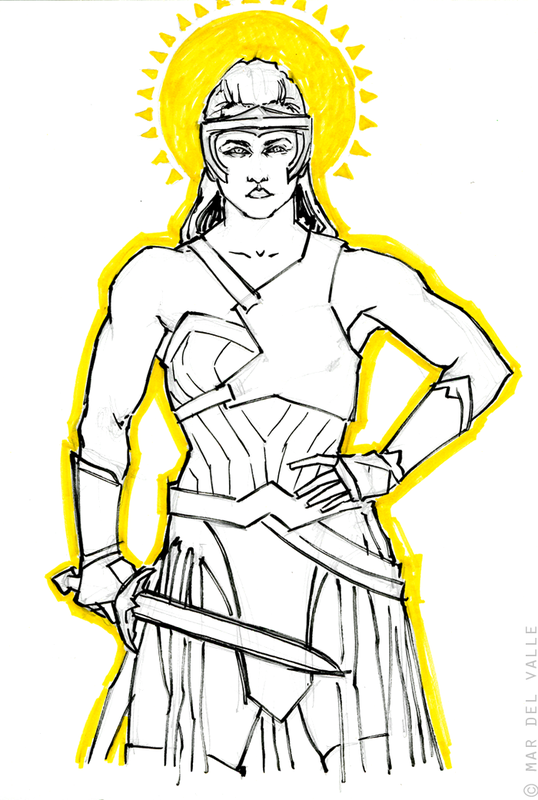 Me encanta el diseño de vestuario de las amazonas en la película de Wonder Woman, y me encantan las profesionales que las interpretan. Así que he hecho apuntes de algunas de ellas. El primero es de la maravillosa Brooke Ence. 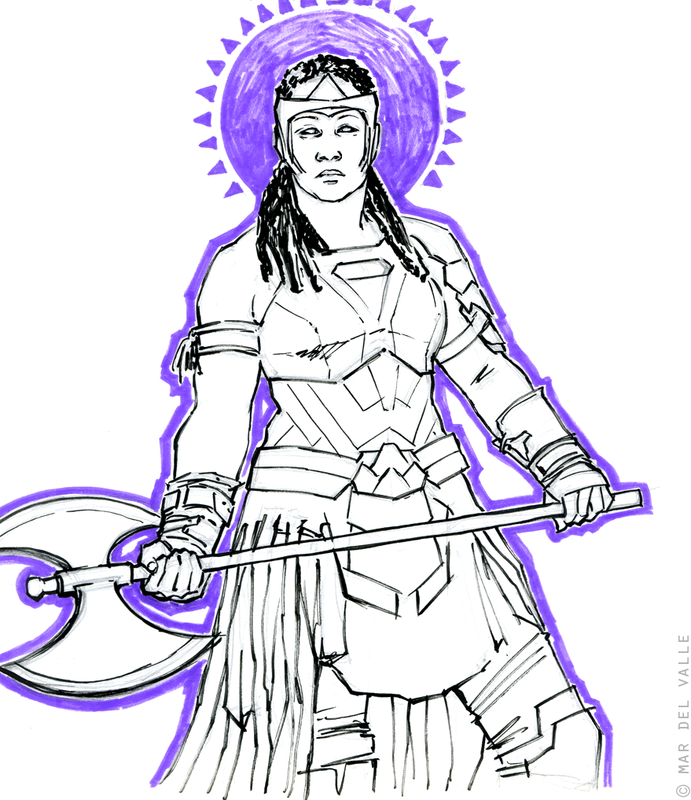 Bajo estas lineas, la boxeadora Ann Wolfe como Artemis la amazona es tan maravillosa que muero. I love the costume design of the amazons in the new Wonder Woman movie, and I absolutely love the professionals who perform them. So I'm sketching some of them. The first one is the stunning Brooke Ence. Below these lines, the boxer Ann Wolfe as Artemis the amazon is so awesome I can't breathe. ¡Sirenas ya disponibles en mi tienda Threadless!